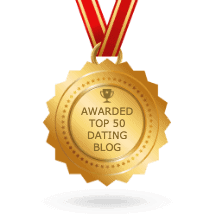 My dating advice videos are designed to give you a jump start to the more in-depth help I can provide you through my books and coaching. Click the images to download. If you are over 40 and re-entering the dating scene, Gregg’s Best Selling book, Middle Aged and Kickin’ It is what you need! This brief video overview will tell you more. Are you a Rest Stop or a Keeper? To a man, you are one or the other. This quick video gives you insight about Gregg’s book, To Date a Man, You Must Understand Yourself, a book written to help women become Keepers. Online dating is a true challenge. What do you write in your profile? What should your picture look like? Gregg provides a quick overview of his Best Selling online dating book Love is in the Mouse in this video. Gregg has written the only confidence buliding book especially for women. This brief video gives you an overview of the book, Comfortable in Your Own Shoes. Gregg provides online coaching for women. Click to watch a brief overview of Gregg’s services. Learn more about all of the interactive elements of my newest book, Manimals, in this brief video! Watch this quick video for my heartfelt thank you for following me on LinkedIn. This quick video is a sincere thank you to my Twitter followers! You rock! Learn more about my best seller, To Date a Man, You Must Understand a Man in this quick video. Having trouble finding quality men? This quick video on my best seller, The Social Tigress will tell you where to start! Get a great overview of my best seller, Power Texting Men in this brief video. How to Get Your Ex Back Fast is popular among my readers! Learn why in this short video. Check out my brief overview on my coaching services. This quick video describes the many things you can find on the Who Holds the Cards Now site, along with benefits of joining the newletter! This is a great 30-second video on the companion book to all of my other books, To Date a Man, You Must Understand a Man. This is a great 60-second video on the companion book to all of my other books, To Date a Man, You Must Understand a Man.